The lineup was a mix of a few mainstays for KC, as well as minor league players within the Royals system. Newly signed pitcher Kyle Zimmer took the mound and threw two scoreless innings for Kansas City before being taken out. Through the first 6 innings, the only hit came from Mike Moustakas–a double–before the Rangers’ bullpen closed things out and secured a big win. For Ned Yost, the goal is to get guys on the field and see them play in order to assess which will move on to make the opening day roster. Over the past two seasons, seeing the Royals lose has become more of a rarity, which makes the 6-2 loss a topic of conversation in KC. Yost indicated he was impressed by the play of local talent, Bubba Starling, who has been a popular name around the state of Kansas for many years after an incredible high school athletic career in three sports. Starling was recruited to play quarterback at Nebraska, but opted to sign a deal with the Royals. His growth as a baseball player has been slower than maybe some expected, but in baseball, it often works out that way. Roster regular Jarrod Dyson was injured during the opener and will miss 6 weeks due to an oblique strain, according to Yost. In their next outing, the Rangers–which recently acquired Jeremy Guthrie–will throw out the former Royal to take on his former team. Guthrie released a warm letter thanking Kansas City and its fans for a great run with the organization, which resulted in two American League Championships and a World Series championship. 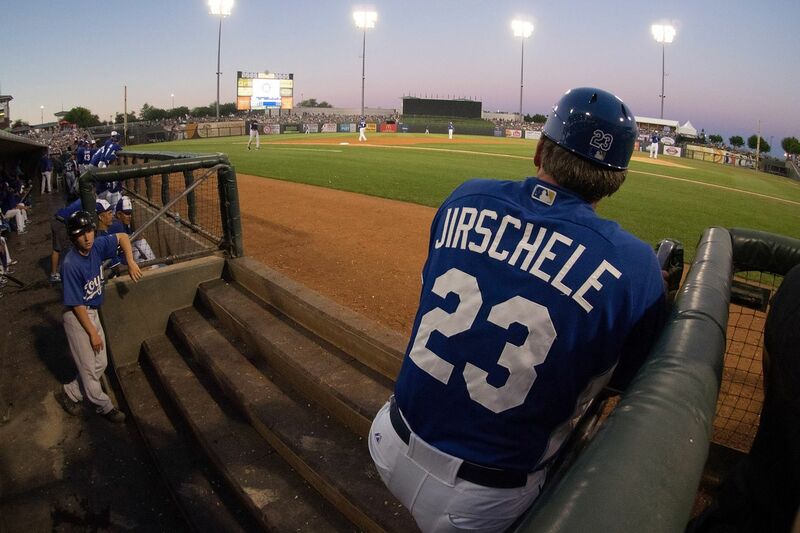 Tickets for every Royals spring training game in Surprise are available at incredible prices with a variety of seating options. At Tickets For Less, we never have and never will, tack on additional fees to the end of your purchase. Don’t miss out on your chance to see the Royals take the field in preparation for the 2016 season. Go Royals!